Alzheimer’s disease is the most common type of dementia in the UK. Dementia is a syndrome (a group of related symptoms) associated with an ongoing decline of brain functioning. It can affect memory, thinking skills and other mental abilities. The exact cause of Alzheimer’s disease is not yet fully understood, although a number of things are thought to increase your risk of developing the condition. Dove Home Care have specially trained specialists to assist patients with Dementia and their live-in care specialists can provide care and support at the comfort of an individual’s home. Dove home care dementia champions provide the utmost care and comfort at an individual’s home and assist them to carry on their day to day activities with ease and comfort. The most important phase in a patients phase is the recovery phase. Convalescence is the gradual recovery of health and strength after illness or injury. It refers to the later stage of an infectious disease or illness when the patient recovers and returns to previous health, but may continue to be a source of infection to others even if feeling better. Dove Home Care specialists ensure that the care programme is especially drawn up to suit the needs of patients. Not only providing specialised care but the time, patience and attention without any additional hidden charges. Care of disabled elderly and the young. Dove Homecare specialises in the care of disabled children of all ages and disabled care for adults too. Specialist home care providers work closely with parents. All the carers are CRB checked and have been specially trained. They are very dynamic and can understand the needs even without the need of expressing. A disabled person might be anyone who has a physical or mental impairment that has a substantial and long-term adverse effect on their ability to carry out day-to-day activities. We have a team of qualified carers who are fully trained to look after elderly and young with disabilities. Dove Live in care specialists as part of their care towards their patients also take tasks such as dog walking. Dove care is not limited to just care of the patients and individuals but also towards the members of the family. Dove Live in care specialists can be available within the shortest available time. 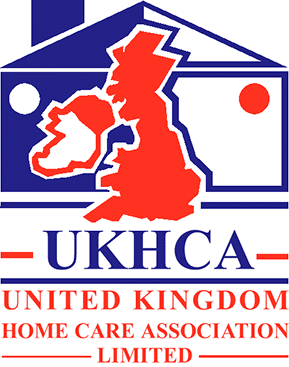 Live in care specialists can visit homes and discuss requirements. Specialists can commence care and support within the shortest time and can provide emergency care. Palliative care is a specialist care for people who live with a terminal illness or serious and life-threatening condition. The Live in Care and support provided by Dove Home Care involves in relieving the stress of a serious illness to improve that person’s quality of life and promote their independence at their own homes and comfort. It’s often referred to as hospice at home. Dedicated care, such as assistance with bathing, dressing and attending toilet. Providing comfort and managing pain. Help moving around the home, whether it is gentle support or hoisted transfers. Housekeeping duties, such as vacumming, dusting, changing beds or doing the laundry. Preparing meals to your tastes, and washing up afterwards. Parkinson’s disease is a condition in which parts of the brain become progressively damaged over many years. Dove home care specialise in providing support and comfort to patients at the comfort of their own homes. Dove Live in Care provides personal care, help with daily living activities and other practical tasks, reablement encourages patients to develop the confidence and skills to carry out these activities themselves and continue to live at home. It tends to be provided to people who have just been discharged from the hospital or are otherwise entering the care system following a crisis. Dove Home Care waking night’s service ensures that the loved ones are provided with care all through the night. Dove waking night carers are experienced in working with your loved ones who tend to wake up at night and ensure they are kept safe in their home. Waking night assistants are flexible and generally arrive late in the evening and stay awake the whole night until the next morning. This ensures that patients have someone there at hand to assist them with various tasks such as attending toilet or helping administer any prescribed medicines at night or be there for any other needs where they may need support. Dove Live in Care also offers sleep-in service which is more suited to patients who generally like the comfort and reassurance that someone is at home with them should they ever need assistance. Live in care specialists generally discuss the requirements with the patient and necessary support is provided. Find a carer near you Dove Home Care provides care across the West Midlands. Find out more about our services and the areas we cover..